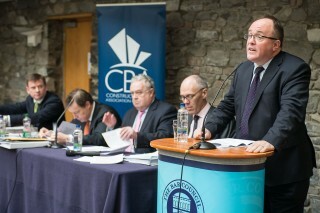 Please see below the full CBA Codex created by Members in the context of the regular CBA Technical Talks Programme, the CBA Annual Construction Law Conferences, the CBA Summer / Christmas Lectures and the CBA Construction Law Periodical. Full access to papers listed below is reserved to the Members of the CBA and may be accessed via the Members Only section; alternatively, individual papers they may be sought from the Secretary by specific request. 67. Trinity I 2016/2017 – Judicial Review of Adjudication Decisions – A View from Australia – Mathew Bell, Melbourne University (Webcast also available on Codex).